PMP Forums: If you are preparing for PMP or CAPM Certification, it’s very important that you join at least two or three forums that deal with these topics. Spend a few minutes everyday and participate actively in the discussions. Pay special attention to lessons learned posts by successful candidates. You can use these forums to clarify your doubts. Some people like to pair up with a study buddy for help and to keep each other motivated during the course of their preparation. 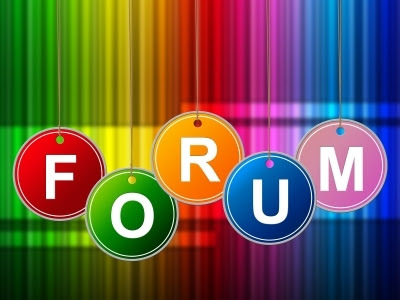 I’ve listed a few good forums here that you might want to consider. Disclosure: I have no affiliation with any of these forums except for the first one in the list. If you know of other good forums that are not listed here, do let me know. Hi Harwinder, hope you will be fine there. Harwinder, I need more details about types of contract and there pros and cons to buyer/seller. As discussed in the email, please refer to the resources on Books24x7 (available to PMI members) for some good material on this topic. Pls suggest and also send me the link for the same. I don't think you can use Net Banking, but you can write to customercare@pmi.org to confirm. I always get confuse with these two concepts. Good to see your blog. It has very useful resources for PMP Exam. Could you please tell me which R.E.P. is good in Singapore. I have contacted IMAGE. Can you recommend? I'm planning to conduct a 5-day PMP exam prep program (over Saturdays only) for a bunch of colleagues, starting sometime in November. If you are interested, you can also join. Contact Me so we can talk over the phone. I can also recommend couple of other programs, if you need to take the course earlier.